We all want to be our best self, every day. But for most people, emotional reactions like stress, anger, frustration, anxiety, fear, shame, and disappointment are an exhausting daily struggle, making it tough to consistently be the leader, parent, mate, colleague, friend, and person you truly want to be. Dear Human, Master Your Emotions (Inspire On Purpose Publishing) is a user-friendly guide to emotional mastery. Author Mark Youngblood has spent decades studying what it takes to lead a successful and fulfilling life. One of his greatest lessons has been this: the power to change our world—to make it what we want—exists within each of us. And through these powerful insights, strategies and life skills, the journey can be faster and easier than you ever imagined. Dear Human, Master Your Emotions provides simple, clear explanations and powerful tools for transforming your life. Readers find powerful insights and perspectives, along with exciting new strategies and life skills, illustrated through fascinating real-life examples. We are born with a robust palette of emotions designed to make our life richer and to serve our best interests; instead, they often seem to make our life more difficult and painful. The inability to handle negative emotions is at the root of most of the strife and suffering in society. People will do almost anything to avoid negative, painful emotions ― and resort to suppression, destructive interpersonal drama, addiction, compulsions, and ultimately to suicide. 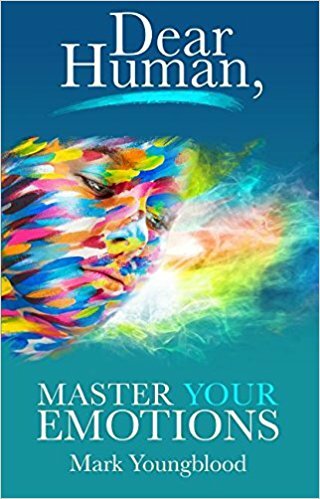 Dear Human, Master Your Emotions is a user-friendly guide designed to help readers gain greater understanding and acceptance of their emotions by learning how to take charge of them. Embracing all of these emotions and processing them in a healthy way will not only transform an individual life, it can lead to the betterment of society in general. A Master Practitioner and Trainer of Neuro-Linguistic Programming, Youngblood has read, studied, and practiced extensively in the art and science of personal transformation and spiritual growth for nearly two decades. A proud father and stepfather, Youngblood is married to his high school sweetheart after 30 years apart. He loves to travel and is an avid fine art photographer. For more information, please visit the website, www.MyInnerMastery.com.